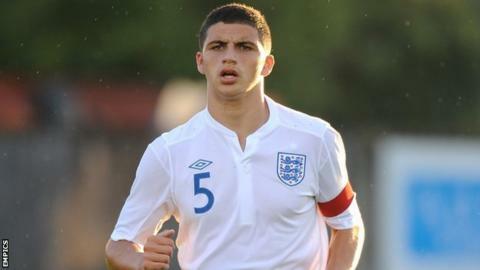 Port Vale have signed teenage Crystal Palace defender Ryan Inniss on a one-month youth loan. The 19-year-old Londoner will be eligible to play in this weekend's League One Midlands derby at Walsall. "We're really happy to have made the addition of Ryan to our squad," said Vale boss Rob Page. "We're pleased to secure his services for the next month. "He's a young, hungry defender who has a lot of potential. We'd like to thank Crystal Palace for their co-operation." Former Palace youth team captain Ryan Inniss has had four previous loan spells away from Selhurst Park, with Cheltenham Town, Luton Town and Gillingham, and then this season with Yeovil Town, where he was until early January. He has already made 11 Football League appearances. Former England youth international Inniss has already played in League One, having had loan spells with Gillingham and Yeovil. He joins a Vale side lying in 16th in the table, six points off the play-offs and eight clear of the relegation zone. "I was at Yeovil earlier in the season and it didn't quite go to plan," said Inniss. "But I know how competitive it is. I know it's not going to be easy to get straight into the side, but I am a competitive lad so I am really looking forward to getting back in and among it."